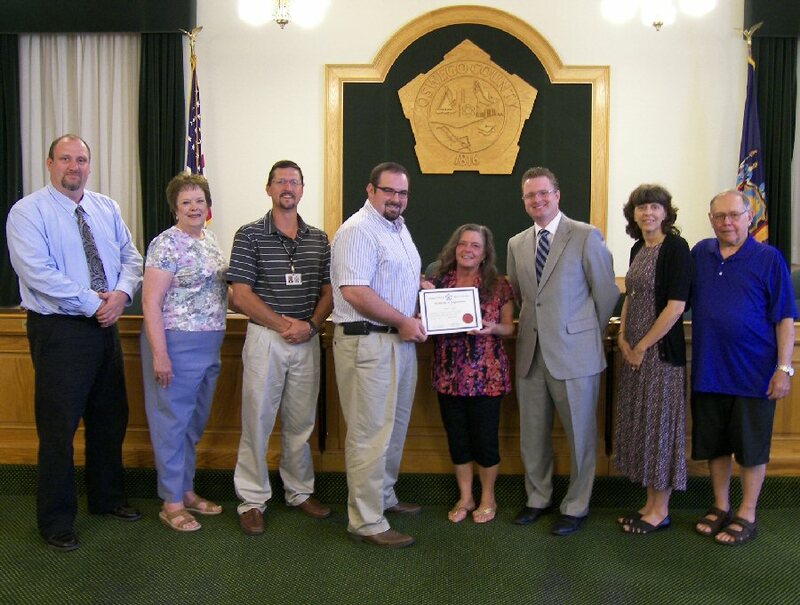 OSWEGO, NY – The Oswego County Legislature’s Government, Courts and Consumer Affairs Committee recently presented Elaine Kerfien a certificate of appreciation for her service to the county. Kerfien is a motor vehicles clerk with the Department of Motor Vehicles. 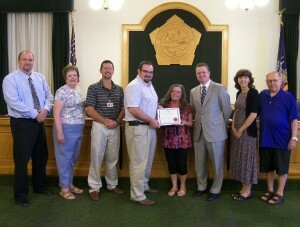 Pictured from left are Legislature Chairman Kevin Gardner, District 13; Louella LeClair, District 25; Shane Broadwell, District 17; Committee Chairman Terry Wilbur, District 21; Kerfien; Oswego County Clerk Michael Backus; Supervisor of Motor Vehicles Cathy Sharkey; and Milferd Potter, District 2.